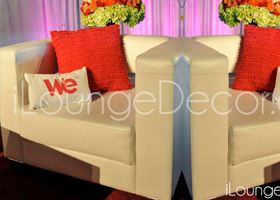 Loveseat Sofa – Casual and upscale, this three-seater gives a feeling of relaxed elegance. 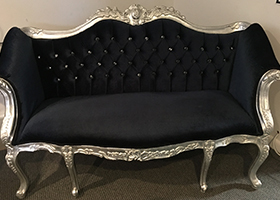 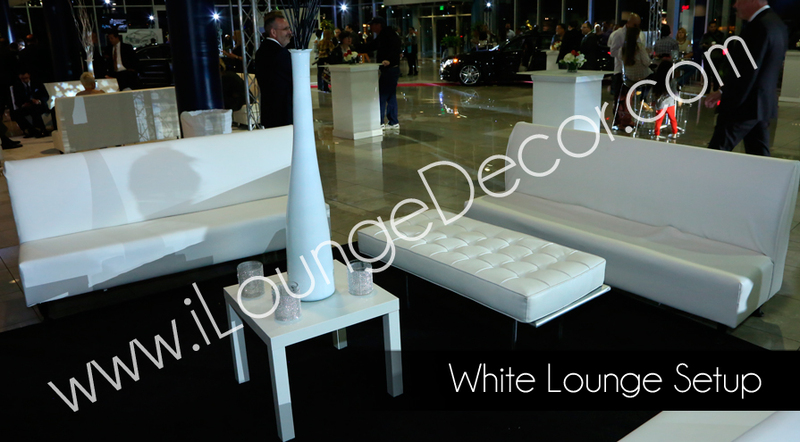 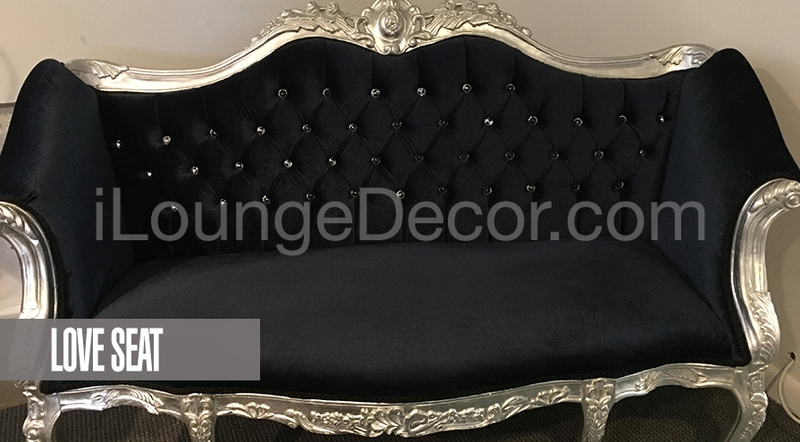 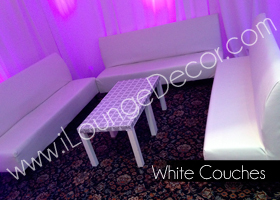 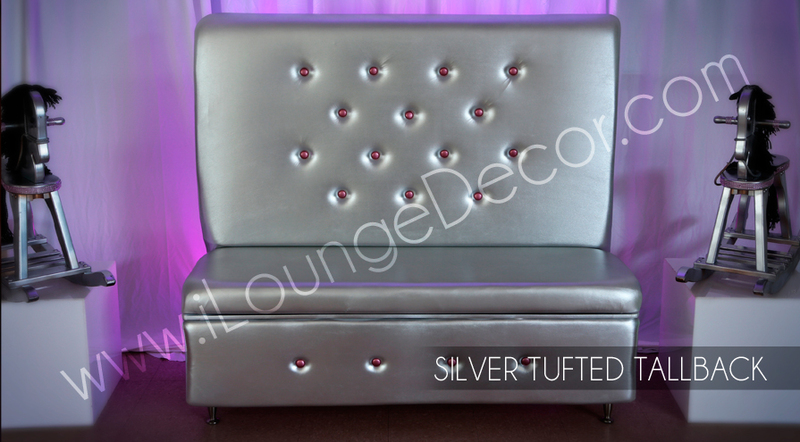 Curved Banquettes – Elevate your lounge area with these elegant, upscale pieces perfect for individual parties, weddings or clubs. 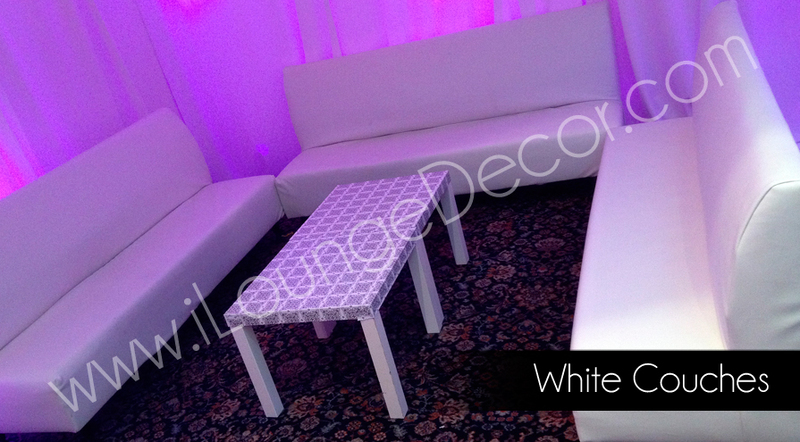 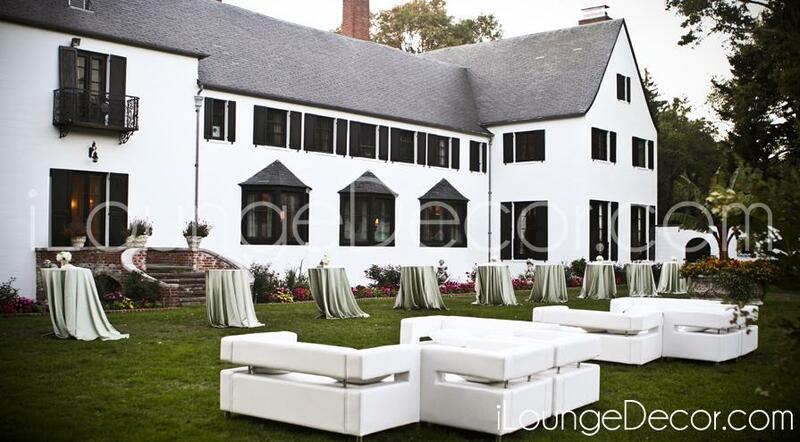 Half Moon Seating – Available individually or in groupings, these stately casual pieces invite intimate socializing. 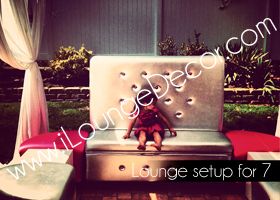 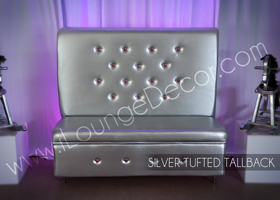 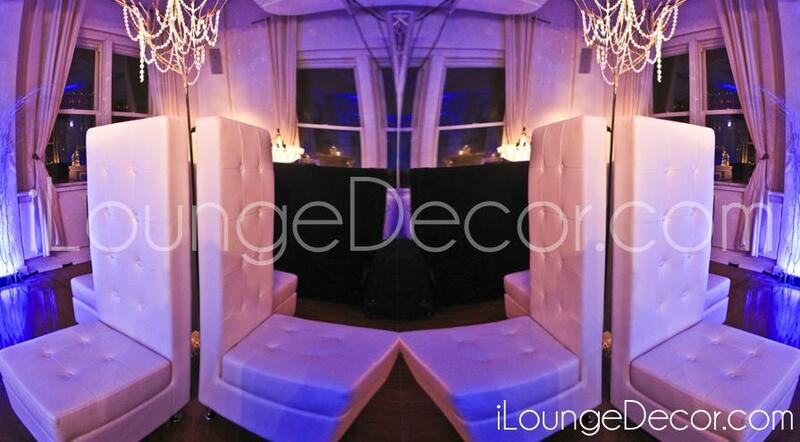 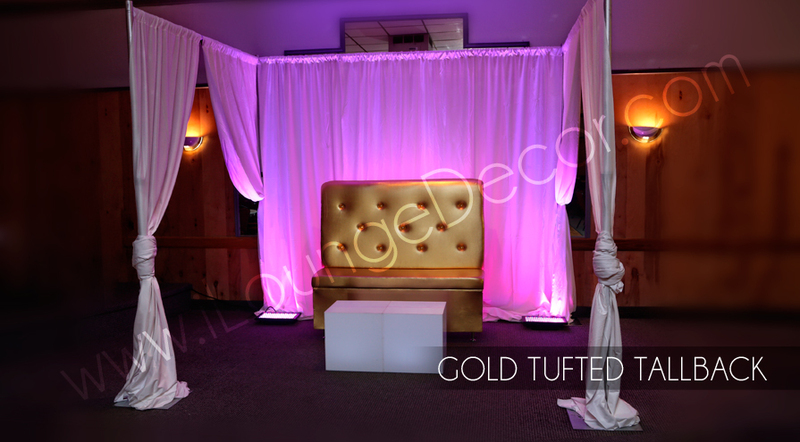 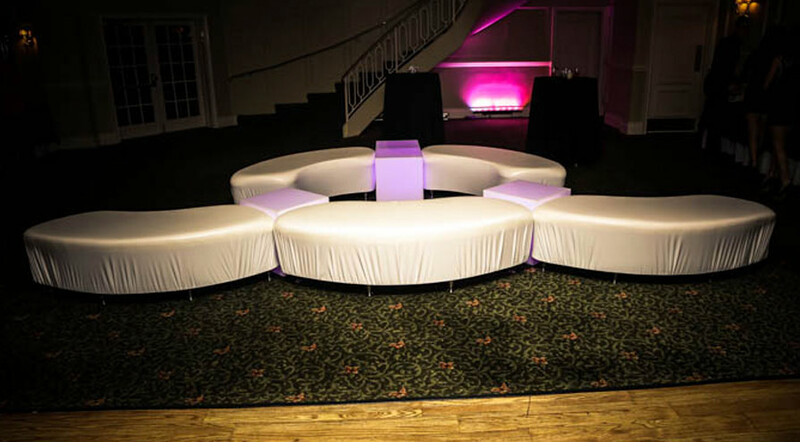 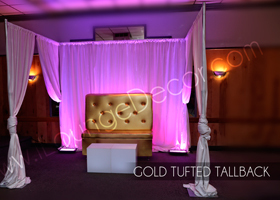 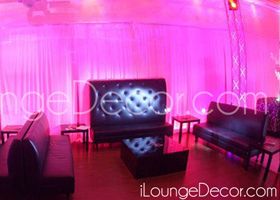 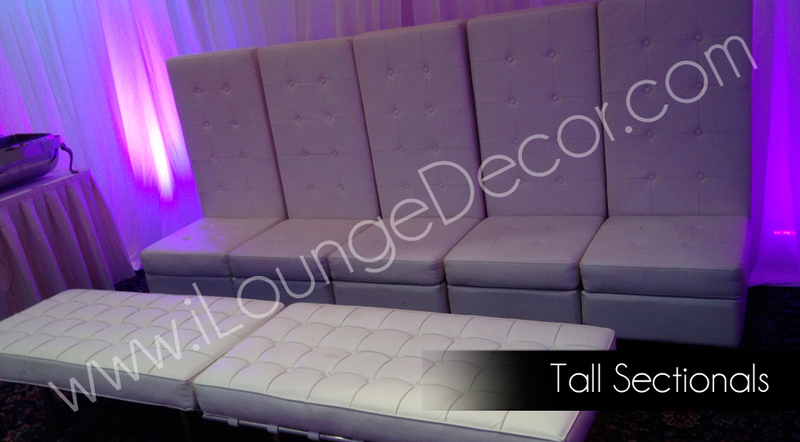 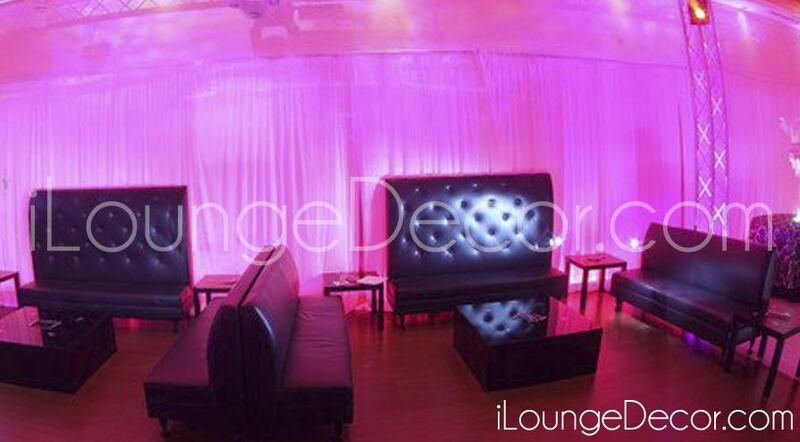 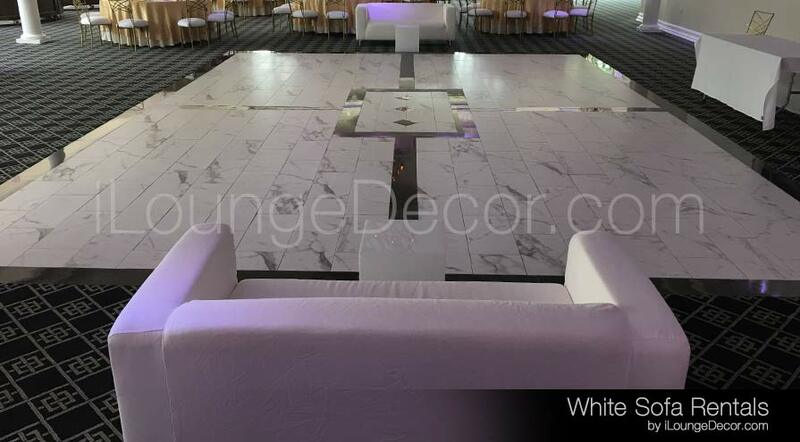 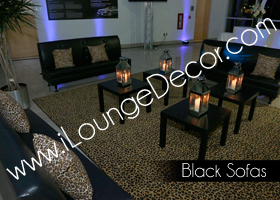 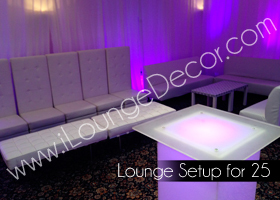 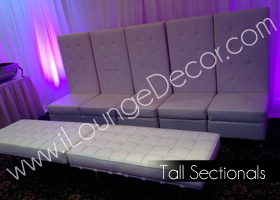 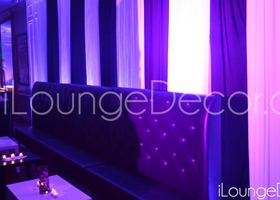 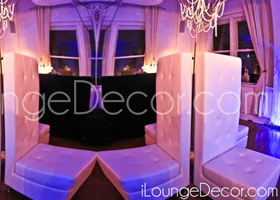 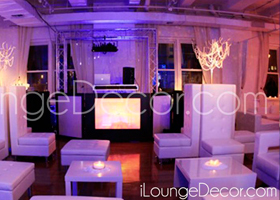 High Back Sofa – The High back sofa is elegantly tall and works well in seating groups or back-to-back in booth arrangements. 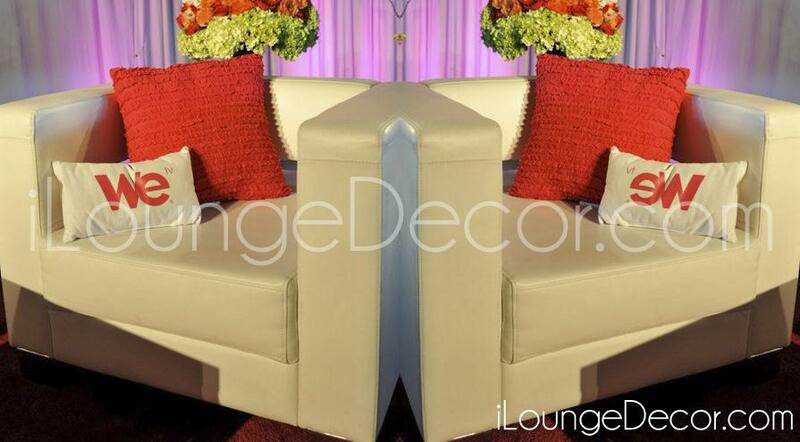 An open furniture piece that creates a stress free environment. 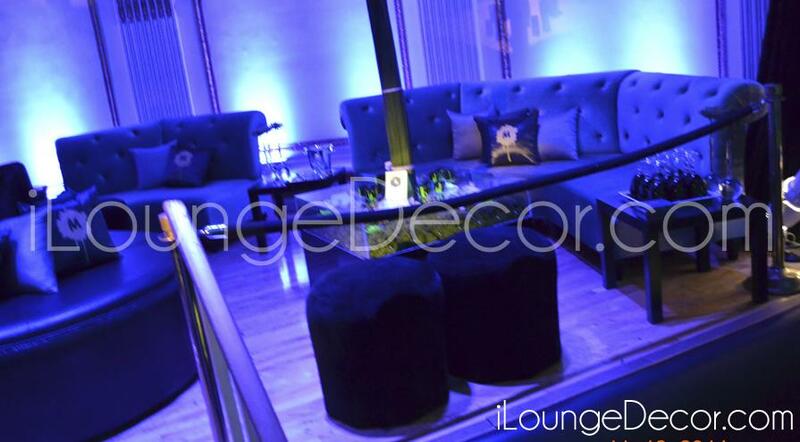 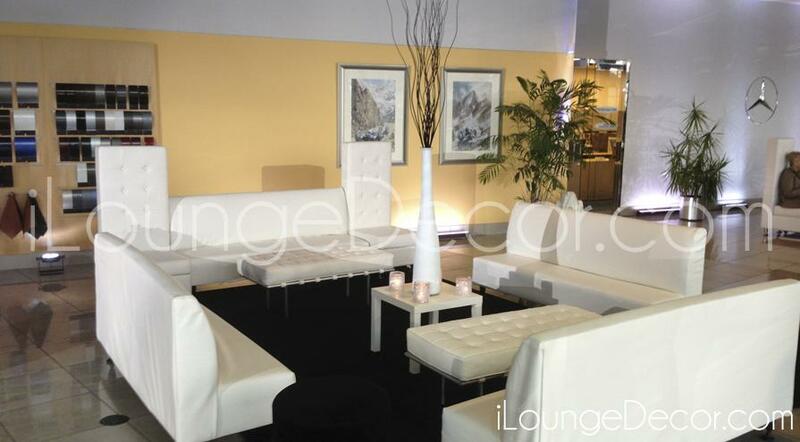 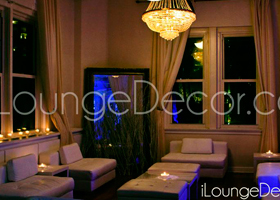 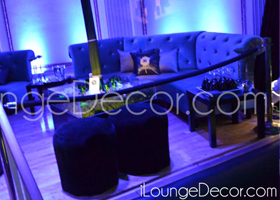 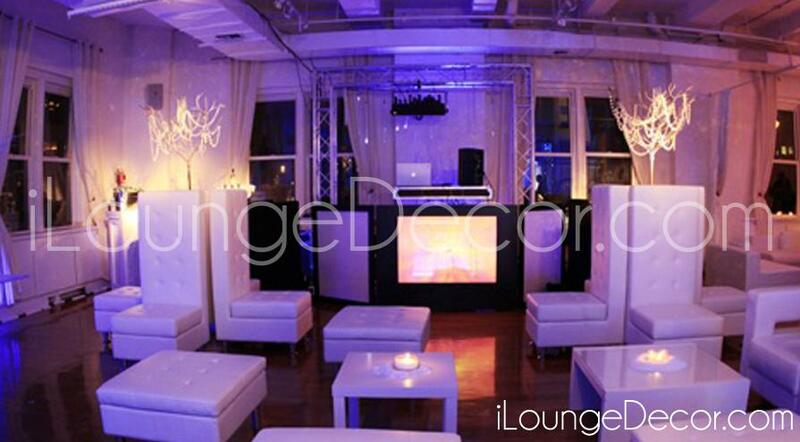 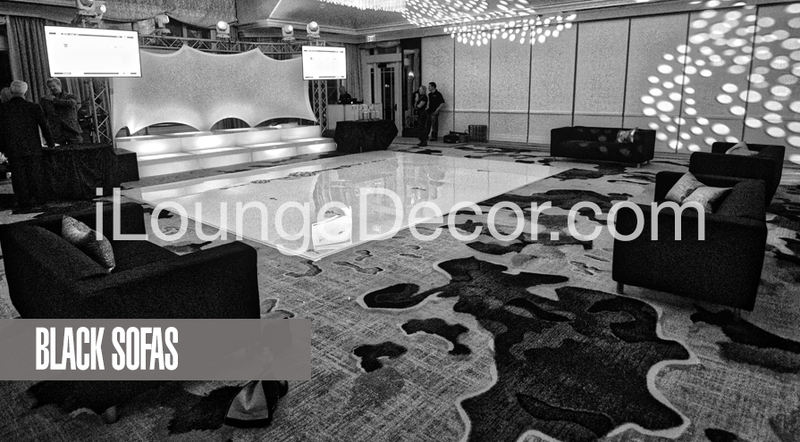 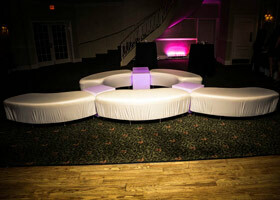 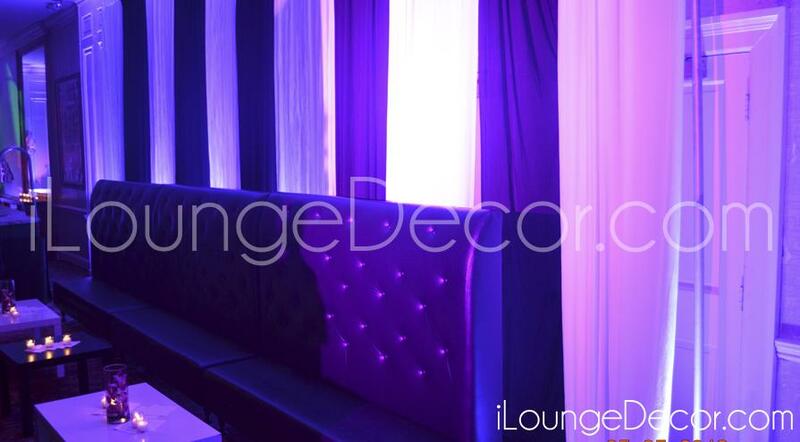 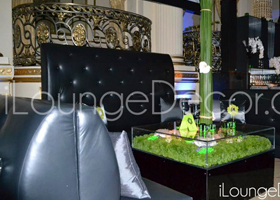 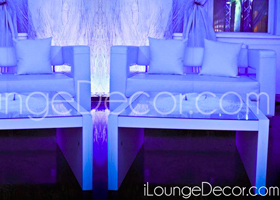 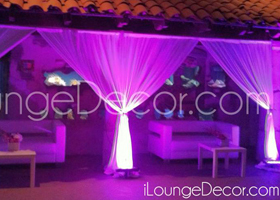 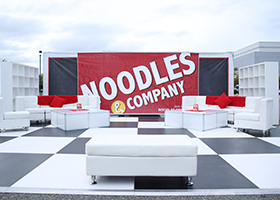 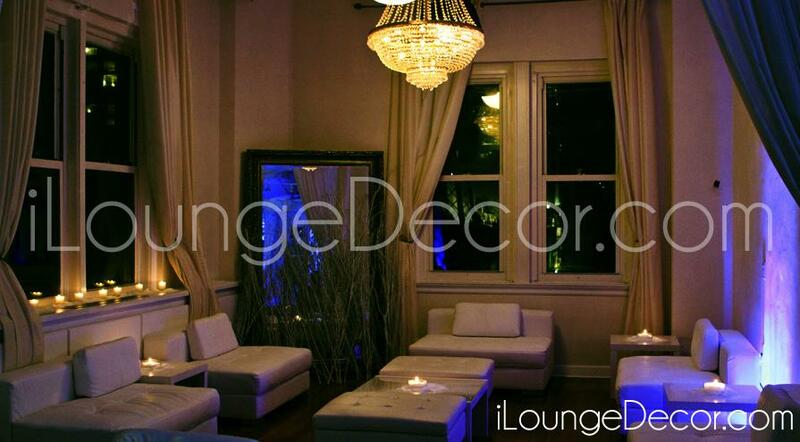 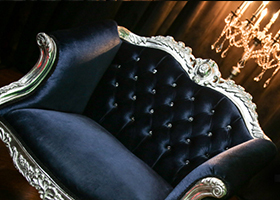 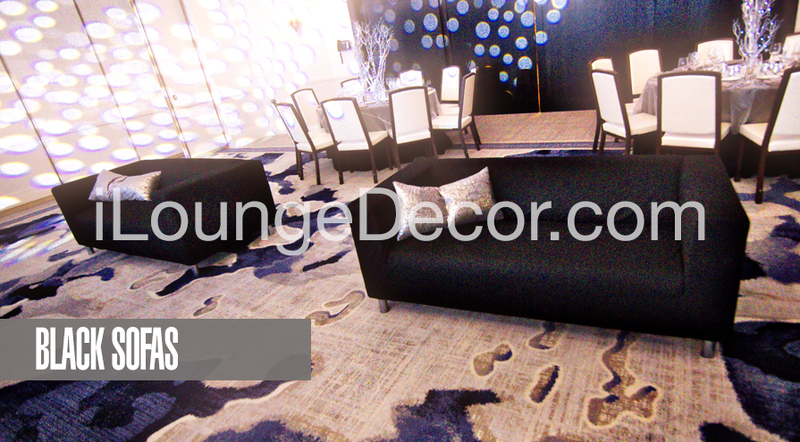 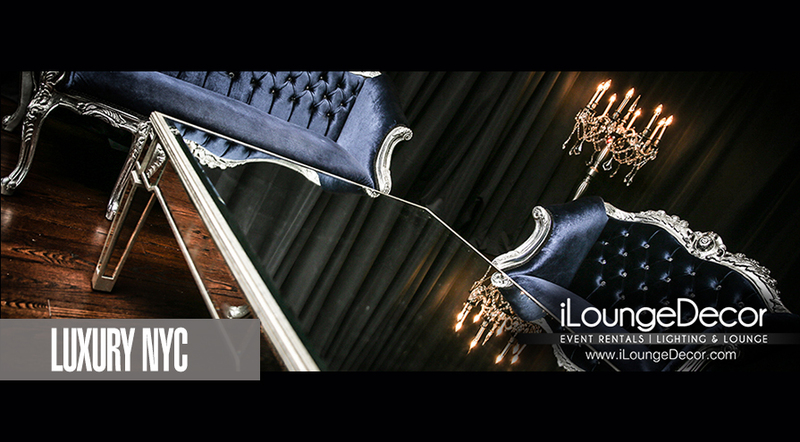 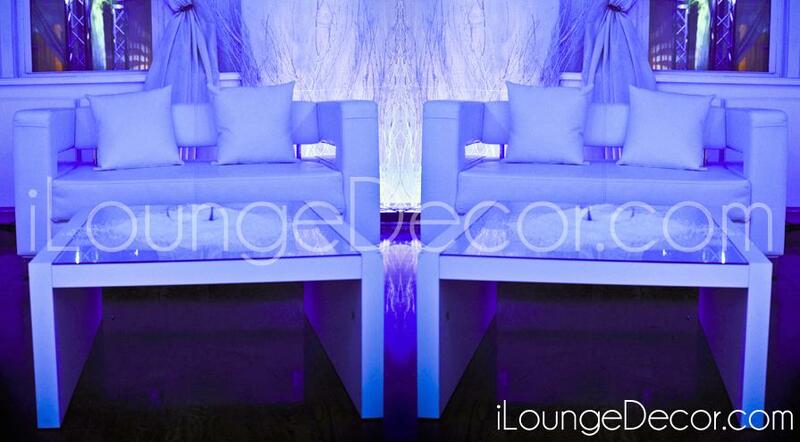 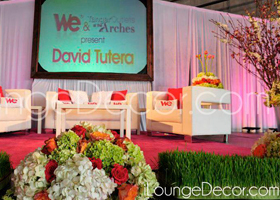 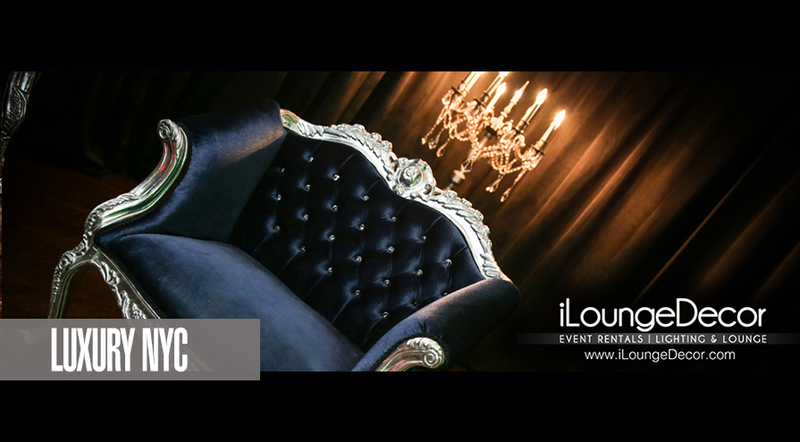 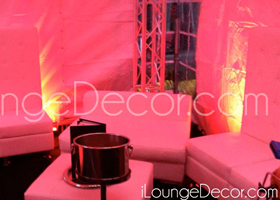 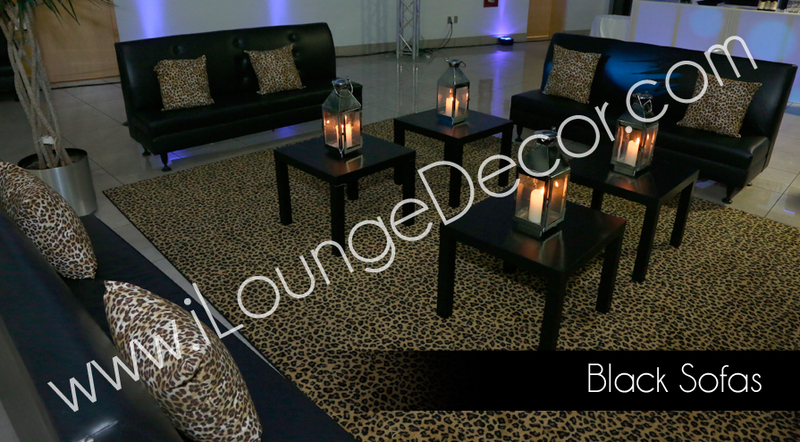 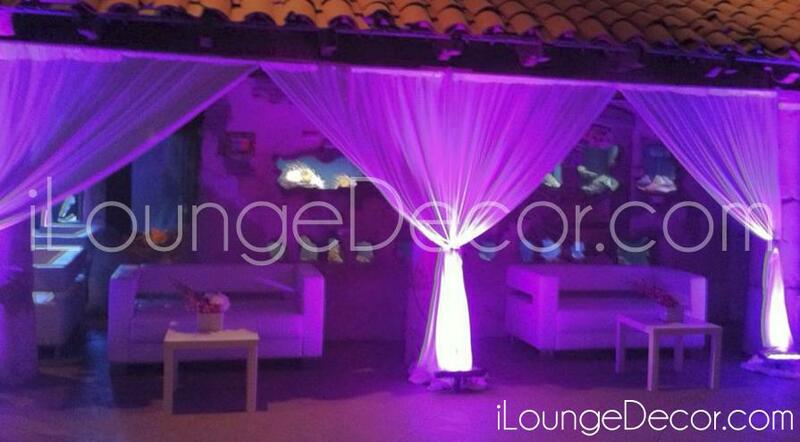 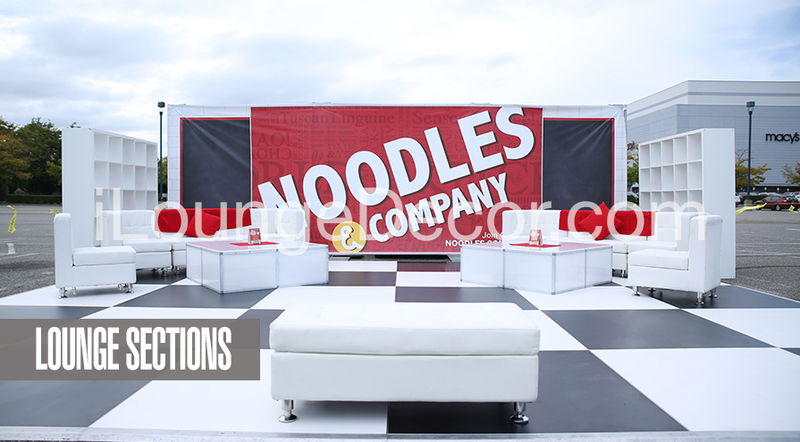 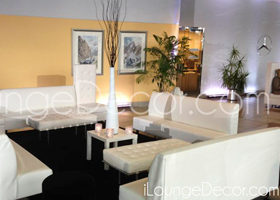 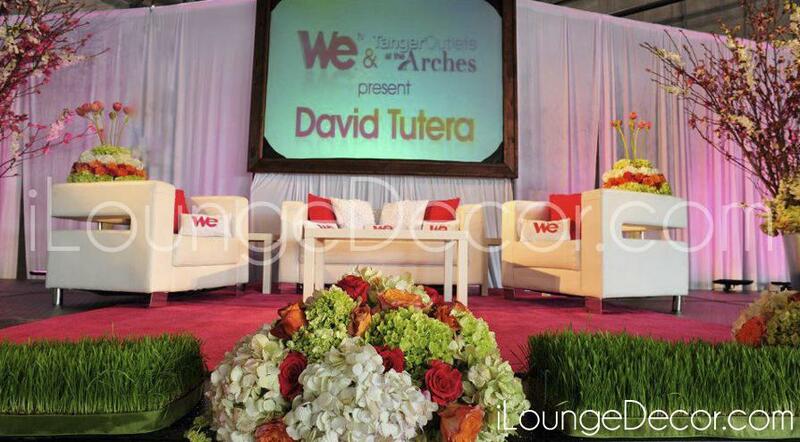 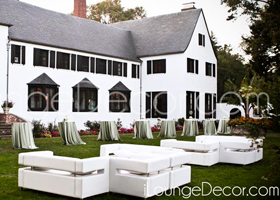 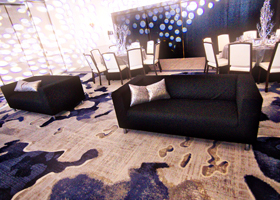 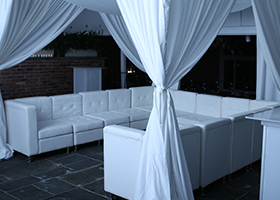 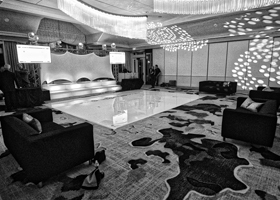 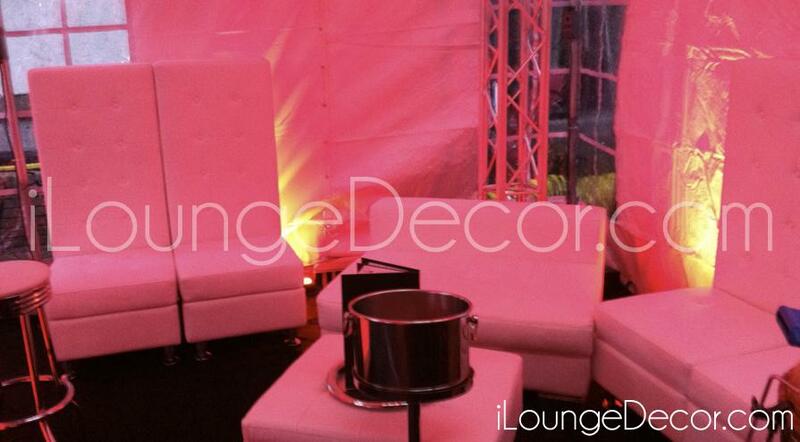 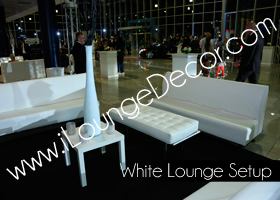 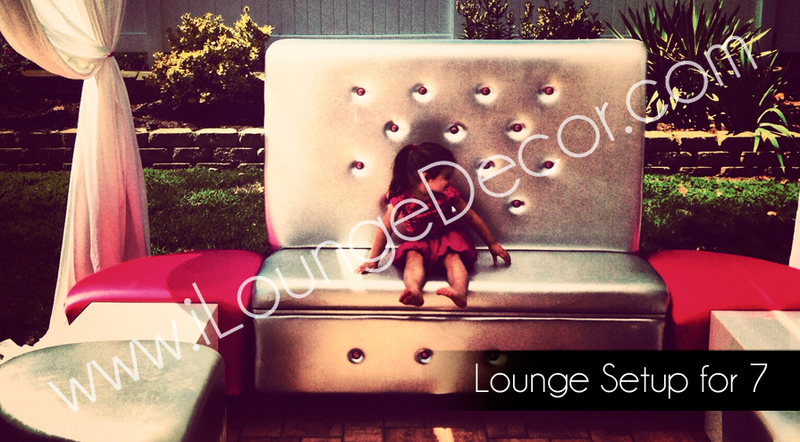 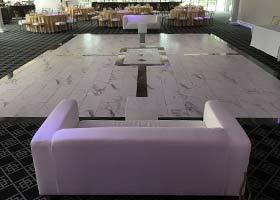 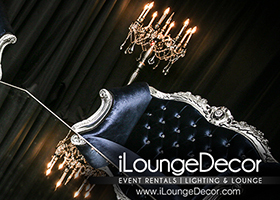 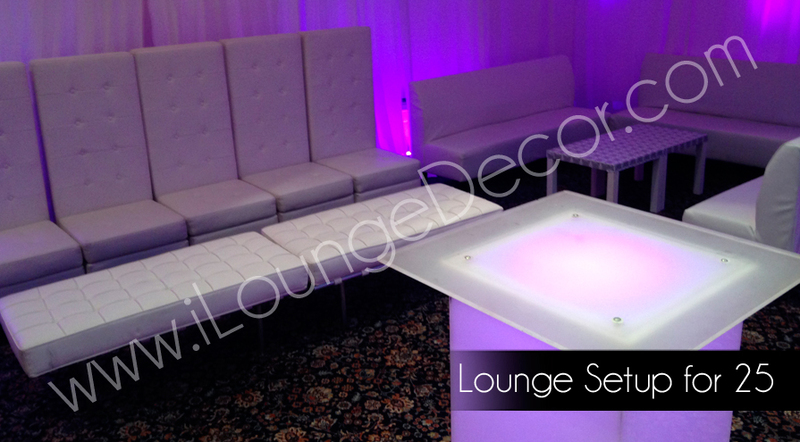 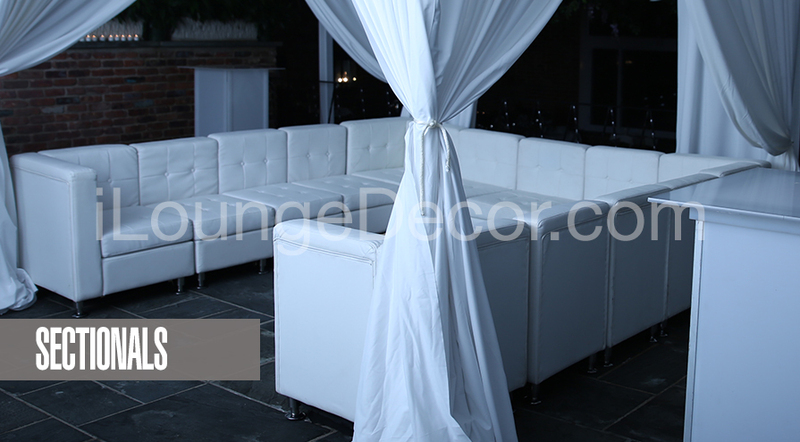 Lounge Chairs – Elegant and upscale, these pieces elevate the style of your event.